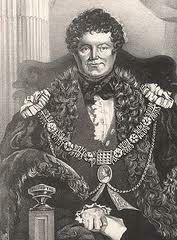 Daniel O’Connell in the robes of the Lord Mayor of Dublin. On the 11 July 1846 Daniel O’Connell presented his “Peace Resolutions” demanding the absolute renunciation of the use of physical force in pursuit of national aims by all members of his Loyal National Repeal Association. The Young Ireland faction, a group of the most dynamic and influential Repealers of the younger generation, were unwilling to accept this principle unconditionally. As a result, under immense pressure from O’Connell and his supporters, Young Ireland walked out of Conciliation Hall on the 28 July and broke with the O’Connell-led Repeal Association for good. At that moment the unity that the Irish national movement had enjoyed for years under Daniel O’Connell’s leadership was broken and physical force nationalism came to compete with the constitutional methods he had championed for so long. Abhorrence of physical force was a central tenet of Daniel O’Connell’s political ideology. He believed that “liberty is too dearly purchased at the price of a single drop of blood”. He was committed to working within the law in pursuit of Irish national liberation. Throughout his political career, O’Connell’s aversion to violence, political or otherwise, was a constant. His education in France and his eventual flight from the country with his brother James to escape the uncontrolled violence unleashed by the French Revolution had a strong effect on O’Connell. O’Connell’s experience of the French Revolution left him with a horror of violent methods in politics. He developed a strong aversion to violent revolution and a certain attachment to monarchy that remained with him throughout his political career. In addition his own killing of political rival John Norcot D’Esterre’s death in a duel filled O’Connell with a deep sense of remorse that served to solidify his absolute commitment to non-violence. It was through the “moral force” of displays of mass support for the cause of Repeal and through the order and temperance of the Irish people that he believed the parliament in Westminister could be persuaded to repeal the Act of Union. The Young Irelanders were originally accepting of O’Connell’s “moral force” nationalism. The first edition of their mouthpiece, The Nation, included a song called “We Want no Sword” which proclaimed “With conquering mind alone we fight…. “We scorn a victory stain’d with blood.” This song strongly echoed O’Connell’s famous quote: “the altar of liberty totters when it is cemented only with blood”, demonstrating a shared commitment to the his “moral force” methods. The Young Irelanders were so strongly interlinked with O’Connell at the beginning that the front page of The Nation was devoted to the “O’Connell Tribute” which they termed a “collection of the National Tribute for our illustrious leader”. Those that contributed most to what amounted to a personal payment to the “Liberator” were named and lauded. The first issue of the Nation was very much an endorsement of O’Connell’s position of using “moral force” alone to achieve Repeal. This was recognised by O’Connell’s Loyal National Repeal Association which voted to include the Nation in their reading rooms. The Young Irelanders, grouped around the newspaper the Nation, at first agreed with O’Connell’s use of ‘moral’ not physical force to achieve Irish self government. At the time of the Nation’s launch, the generally held belief within the Repeal Association was that Repeal was then inevitable and likely to be realised in the immediate future. Letters read out in the Loyal Nation Repeal Association meeting of Monday, October 10 1842 from John O’Connell and P J O’Neill Daunt reveal a belief within the organisation that Repeal would soon be achieved. O’Connell himself was so confident that Repeal would be passed that on 2 January 1843 he declared that 1843 would be the “Year of Repeal” and that the Union would be severed before the year was out. The Young Irelanders were content with O’Connell’s methods as they believed that they were working. However, it was soon evident Repeal was much further from realisation than originally believed. Rather than herald in Repeal 1843 would see British Prime Minister Robert Peel refuse to even consider its possibility and proclaim his preference for Civil War over allowing Ireland to break from the Union. To make matters worse, Queen Victoria herself came out to speak against Repeal undermining O’Connell’s long held belief that the young Queen was sympathetic to the Irish national cause. O’Connell’s Repeal movement stalled when British Prime Minister Peel began to ban its mass meetings. The Peel government began to attempt to suppress the Repeal Movement and its worryingly popular Monster Meetings. The meeting at Mullaghmast in October, looked likely to be suppressed by the authorities and famously, at Clontarf the planned meeting was deemed illegal and a sizeable military contingent was posted to suppress it. Then, despite O’Connell calling off the meeting, he (amongst others including Young Ireland’s Charles Gavan Duffy) was sentenced to prison for seditious libel following a trial where the outcome seemed predetermined regardless of the striking lack of relevant evidence presented by the prosecution. Now that O’Connell’s constitutional methods seemed destined to fail, friction with the Young Irelanders began to rise to the surface. Though O’Connell still held out hope that Repeal could yet be won through the pursuit of a renewed alliance with the Whigs, the Young Irelanders sought more radical solutions and became increasing frustrated with O’Connell’s leadership. The Nation grew ever more militaristic in tone. The Young Irelanders dissatisfaction with O’Connell’s failure to consider more radical methods is likely rooted in the somewhat ambiguous nature of the rhetoric he employed during his Monster Meetings. He went to some lengths to avoid overt militarism during the public meeting aspect of the Monster Meetings (he was known to pull down overly militant banners) and to display loyalty and commitment to the law through slogans such as “God bless our queen and grant wisdom to her ministers” or “The man who commits a crime gives strength to the enemy”. However, he often used rather more violent rhetoric during the more exclusive banquets held after the public meeting. At the very first Monster Meeting banquet in Tuam he rhetorically asked those assembled, “Are you slaves and are you content to be slaves?” then responded himself with “I shall either be in my grave or a freeman”. Violent rhetoric, always a feature of O’Connell’s oratory, was on prime display during 1843. Daniel O’Connell sometimes seemed to encourage militancy among his followers despite his avowed pacifism. At a Monster Meeting in Mallow, Co. Cork on Wednesday June 11 1843 O’Connell dramatically provoked the Peel administration. The Freeman’s Journal reported the somewhat militaristic feel of the gathering. It described “Countless thousands who formed the “body guard” of the Liberator” and noted banners with provocative slogans such as “See the conquering hero comes”, “We submit to no Saxon superiority” in front of a large army and police presence. While O’Connell and the other speakers made efforts to underline their commitment to the law during the public meeting those assembled took on his cheer “we will not be slaves”. Any fears this would have instilled in the British government were only compounded at the banquet when O’Connell cried “The time is come when we must be doing. Gentlemen, you may soon learn the alternative to live as slaves or to die as freeman” and later “it will be my dead body they trample on, not the living man”. The more committed Peel became to suppressing O’Connell, the more violent became O’Connell’s rhetoric. The episode at Mallow, known as the Mallow Defiance, was taken as a direct provocation against the British Government. Also directly provocative was the usage of sites such as Tara, Mullaghmast, and Clontarf, sites of battle and/or British betrayal for O’Connell’s meetings. Such ambiguity suggested that O’Connell would be willing to stand up to Peel if Repeal was refused. However, his retreat over Clontarf and his conduct in the immediate aftermath of his release from prison displayed that O’Connell’s aversion to political violence was resolute. The Young Irelanders had become disillusioned with O’Connell’s leadership. Davis was convinced that he would “run no more risks”. Charles Gavan Duffy believed that O’Connell was growing senile and that his prison time infatuation with the young Rose McDowell was evidence of that. Such concerns over O’Connell’s mental capacities combined with his mounting physical frailties undermined his leadership in the eyes of the Young Irelanders. “Let us search for the root from which this crop of misery has sprung and pluck it forth, gently, if it will come – if not, why, tear it forth with a strong hand” . This militaristic language went far beyond even O’Connell’s Mallow defiance. Though willing to work under O’Connell, it was most apparent that the Young Irelanders had a decided militaristic streak that ran counter to O’Connell’s commitment to peace. The poems and songs of Thomas Davis such as the West’s Asleep were rousing in their militaristic tenor and an organisational article about mounted security for the Clontarf Monster Meeting entitled “Repeal Cavalry” was so overtly militaristic in tone that it served as the major justification for Peel’s decision to call of the meeting and for the subsequent arrests . With Davis’ premature death, John Mitchel took over his duties as the Nation’s major contributor and the Young Irelanders began publishing even more explicitly seditious material. On Saturday, November 22 1845 an article by Mitchel entitled “Threats of Coercion” was published in the Nation. Mitchel was angered at the vast quantities of money spent developing railways for the easy movement of troops in Ireland to suppress the Repeal movement while the country was starving. Now the militarism of the Young Irelanders had gone beyond the realm of metaphor and suggestion. This piece directly encouraged criminal, violent activity to subvert the British Government in support of the Irish National cause. It proclaimed physical force as a legitimate, and “convenient”, tool for furthering the national cause. The outright seditious and militaristic nature of this article prompted O’Connell to encourage legal proceeding to be taken by the British government against Mitchel and Charles Gavan Duffy, the Nation’s editor. He also threatened to cut them off from the Repeal Association, upon which they relied for funding, unless they towed the line and supported his desired alliance with the Whigs. Mitchel and O’Connell clashed dramatically over the Peace Resolutions. The contested memory of 1798 was prominent. John Mitchel, admiringly, declared that “the men of ’98 thought liberty worth some bloodletting”. The United Irishmen and their rebellion were a point of contention between O’Connell and the Young Irelanders. The Nation’s publication of in Memory of the Dead, was taken as a direct criticism of O’Connell and his rejection of the United Irishmen’s ideals. While O’Connell’s processions included a wide host of Irish historical figures, the United Irishmen were notable in their absence. On the other hand, the leaders of 1798 were prominent in the pantheon of Irish heroes documented in the histories of the Young Irelanders. Although O’Connell was once a member of the United Irishmen, he had come to equate their rebellion with the bloodshed in France and blamed the rising of 1798 for bringing about the Act of Union. He rejected their methods of secrecy and violence entirely. For O’Connell the United Irishmen represented failure and bloodshed. O’Connell decried the memory of the 1798 United Irish rebellion, whereas the Young Irelanders celebrated it. The essential message of the Young Irelanders was most similar to that of Tone and Fitzgerald. The disunity of the Irish people based on creed or politics was an outside imposition in place to weaken the nation and keep it subjugated. Liberty was to be achieved through unity. The editorial even talks of the great meritocracy evident in Napolean’s army. While O’Connell dismissed 1798 as “ill organised, a premature, a foolish, and an absurd insurrection” there is a certain suggestion within the writings of the Nation that the Young Irelanders sought to emulate Tone in their aspirations and serve as successors to the United Irishmen and their rebellion of 1798. O’Connell’s angry contention that “he (Mitchel) purports to be a man of peace, yet he preaches of war” was not necessarily all that hyperbolic in such a context. 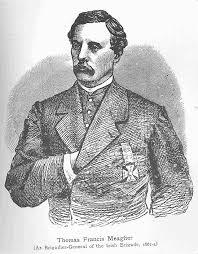 When Thomas Francis Meagher delivered his famous speech “The Sword” , defiantly refusing to “abjure the sword” or “stigmatise the sword”, the Young Irelanders had come full circle and they collectively left Conciliation Hall severing all ties to O’Connell and his Repeal Association. Davis’ refrain in the first issue of the Nation that “we want no swords” had turned into Meagher’s assertion that he looked “upon the sword as a sacred weapon” . The conversion from O’Connell’s constitutional methods to belief in the virtue of the physical force methods of the United Irishmen was now complete. Daniel O’Connell had organised a national movement around himself. He expected unswerving loyalty and adherence to his views. He did not tolerate internal dissension. Their Young Irelanders’ view was best expressed by Meagher who said “I came here to repeal the Act of Union – I came here for nothing else. Upon every other question I feel myself at perfect liberty to differ from each and every one of you”. They were unwilling to simply follow O’Connell’s leadership, they wanted their own, distinct, voice to be heard. The Young Irelanders were opposed to O’Connell’s strategy to forge an alliance with the Whig party in Britain. O’Connell’s pursuit of a renewed Whig alliance, his subversion of attempts to run a Repeal candidate against Richard Lalor Sheil in Dungarvan and his opposition establishment of Queen’s Colleges in Ireland were all issues of serious division with the Young Irelanders  . The altercation over the latter was so divisive as to bring Thomas Davis to tears and lead O’Connell to desire the removal of the Young Irelanders from the Repeal Association . O’Connell could barely stand dissent over these issues within the ranks of his Repeal Association. The Young Irelanders’ unwillingness to accept so central a principle of his political philosophy as his condemnation of political violence was more than he could stand for. 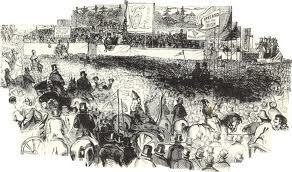 By the end of July a purge of Repeal Wardens sympathetic even to the ideals of the Young Irelanders was in full force. As in all such disputes, personal enmities played their role. Of particularly controversial nature was Daniel O’Connell’s third son, John. He had received the title of “Young Liberator” though contemporaries and historians seem united in believing he did little to deserve it. Nonetheless as age took more and more of a toll on his father the younger O’Connell took an ever great greater role in the proceedings of the Repeal Associations. His authoritarian manner of conduct and adherence to a Catholic-centric view of nationalism set him at odds with the Young Irelanders. He appeared to feel dynastically entitled to succeed his father over the popular, Young Irelander, William Smith O’Brien. Tensions between the younger O’Connell and the Young Ireland movement were such as to lead to their boycotting of Repeal Association meetings when John O’Connell occasioned to take the chair. In fact it was John O’Connell whose final demand that the Young Ireland movement accept the Peace Resolutions that saw them stand up and leave Conciliation Hall. 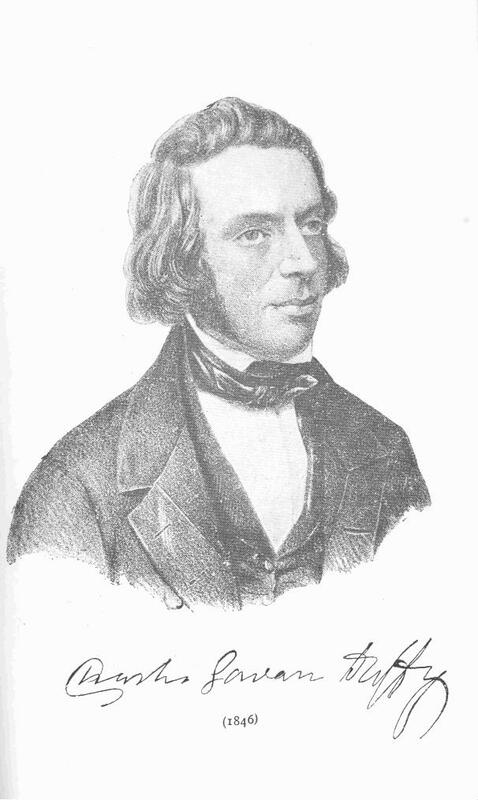 The vindictive nature of the final split between the Young Irelanders and O’Connell led to the publication of a number of writings by the Young Irelanders after 1848 which set out to damage Daniel O’Connell’s reputation. Though, in the short term, O’Connell’s reputation was tarnished, history has since placed Daniel O’Connell on a pedestal as a colossal figure in Irish and international liberal history. The Young Irelanders, however, have largely been neglected by modern historians. The Young Irelanders, a forgotten story? After their split with O’Connell, the Young Irelanders attempted to form a revolutionary organisation, the Irish Confederation. Enraged by the terrible events of the Great Famine they attempted an insurrection against British rule in 1848 for which most of their leaders ended up in prison or in exile. The Young Irelanders were a major cultural force that captivated their contemporary public and the generations of Irish nationalists that succeeded them. It was Meagher that brought the Irish tricolour from France and Davis’ songs can be heard sung throughout Ireland still. And yet, they have been largely sidelined in Irish historiography. Perhaps they have been simply overshadowed by Daniel O’Connell? The abject failure of the 1848 rebellion must be a factor too. Derisively remembered as the ‘Cabbage Patch revolt’, it hardly merits proud remembrance. Such a farcical revolt was not deemed to merit a place in the hagiography of Irish nationalism that dominated Irish historiography for so many. The devoted campaigning of John Mitchel in defence of American slavery is a source of further embarrassment and likely further sidelined their memory. However they are remembered, the Young Ireland split with O’Connell in 1846 marked the end of the monolithic structure of Irish nationalism behind the figure of O’Connell. It also marked the end of the dominance of moral force nationalism. Physical force had become legitimated as a tool for national agitation and from 1848 onwards physical force and the Irish national struggle became interminably intertwined. The Nation, October 15, 1842, p.10. The Nation, October 15, 1842, p.15. Motion proposed by a Mr Clements and seconded by a Dr Stephen Murphy. Both claiming no connection to the paper itself. Owens, Gary ‘Nationalism without words: Symbolism and Ritual Behavious in the Repeal “Monster Meetings” of 1843-5’ in J.S. Donnelly Jr and Kerby A. Miller (eds. ), Irish popular culture, 1650-1850 (Dublin, 1999), p. 259. Geoghegan, Liberator , pp. 154-157. One Response to "Daniel O’Connell and the Young Irelanders"